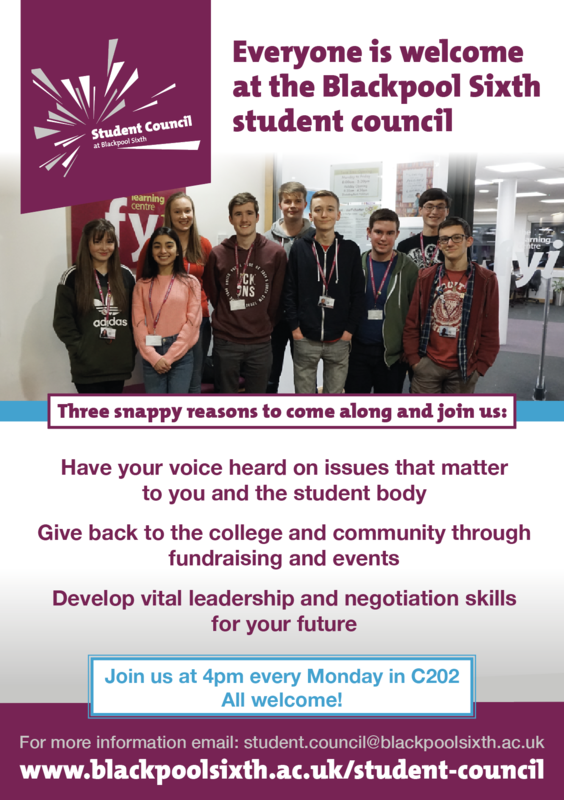 We are always looking for new members to join the student council at Blackpool Sixth. Your role will not just benefit the college community itself, but will also be highly beneficial to you. 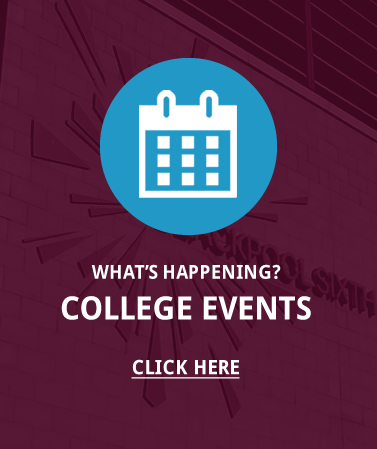 Communication, negotiation and event planning/management are just some of the skills that you will pick up. These are valuable assets for applying to both higher education and competitive jobs. There are no requirements to joining, both lower sixth and upper sixth students are welcome to attend. The student council meet in room C202 at 4pm every Monday. What’s new from the student council? Over the course of the first term the Student Council have been actively working to set out key priorities for the coming academic year, along with focusing on recruitment and roles. There has been a notable success in terms of Upper Sixth recruitment, with a 27% increase. This is a testament to the hard work and positive contributions of the cohort last year. The key priorities for this year have been identified as student motivation and lifestyle, these will be targeted through furthering their work with the Learn to Live campaign, along with arranging a motivational guest speaker on the lead up to exams. Members of the council represented the Egalitarians in the first strategic Equality & Diversity meetings. This is a result of their drive for social action since receiving the data last year that 13% of the student body did not believe their beliefs and interests were represented within college. Working together with SLT the strategic panel is now formed from both staff and student representatives. This will provide students with a voice and the opportunity for a collaborative workforce. Additional to these key things, members of the council supported events such as open evenings and are currently planning a talk to current senior students of local schools along with a stall showcasing their achievements during the Excellence Event in November. Over the past academic term the Council have continued to drive their key priority of motivation and lifestyle. During resilience week members of the Council spend two mornings talking to students on their way into college about the Learn to Live campaign whilst supplying a bottle of water , to promote the link between wellbeing and success. The Council also supported the LGBT group in funding the Sophie Lancaster Foundation talk to raise awareness of respect and understanding of subculture which proved to be successful and well attended. Other activities included some members attending the Equality & Diversity committee meeting with staff and SLT representatives to act on behalf of the student body, securing an inclusive approach to policy and decision making. The term has also seen some members represent the college and the student body at the Blackpool Youth Summit with the focus of discussion and action being on mental health, the curriculum for life and work experience hubs for ages 11-18. Members of the Council also enjoyed an evening at the Festival of Carols at St Chad’s Church and provided readings on behalf of our student body. Finally the Council supported the Children in Need charity, using PM sessions to raise awareness of positive impact it has and also raising £280 through donations.Carrying on from the positive work the Council have done so far they have invited motivational speaker Emily Yates to host a talk with the student body after the half term, surrounding motivation and perceived limitations. Emily was the first wheelchair user to cross the the Sinai Desert by camel, she then went on to be active in the London 2012 ‘lifted the cloud of limitation’ campaign. Her message is to grasp all opportunities that have been granted to you- and say ‘yes’.